Southwest Florida has some of the most beautiful weather and homes in the country until it rains. When it rains here it really pours. This onslaught of water can cause misery for home owners when their gutters are clogged from all the leaves and debris that shed from our shade trees and towering hedges. Clogged gutters can have the water overflow under roof substrate causing at the very least moisture and mildew and quite possibly leaks. All of us know that cleaning gutters is not a fun or even safe chore. Worse yet the damage can occur prior to us noticing that our gutters are clogged. Routine cleaning services can be expensive over the long haul and may not be timely enough to prevent damage. Wise people all over America have found the perfect solution. Gutter Helmet is the perfect solution to never have to clean your gutters again. It is installed once and lasts a lifetime. 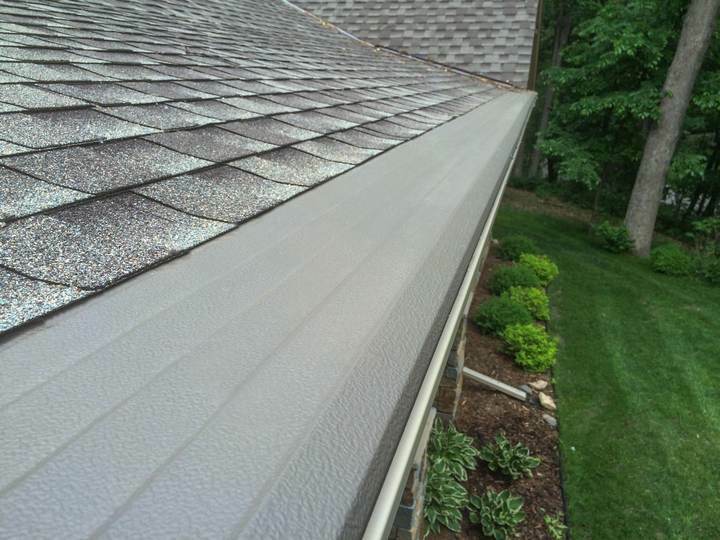 Over 80 million feet of Gutter Helmet has been professionally installed in the past 30 years. That is more than all other inferior gutter cover products combined. Trust the number one source, the leader, the innovator, the one that actually works for the life of your home! Our product is so durable you can transfer the warranty if you ever sell. It’s that good! We offer a triple lifetime warranty which means it covers the installation, the product itself and can be transferred. No more worries when it rains! All you have to do to be protected and relieved of the conditions caused by clogged gutters is call or email us; we give complimentary in home consultations to see if Gutter Helmet is the right product for your home.